Sunday Sep. 9, 2018 will go down in Chile’s copper state miner Codelco’s history of as one the most important days of its Chuquicamata mine's 103 years of existence. This, because it marked the last blast at the bottom of the open pit operation, expected to transition to underground block cave mining by mid-2019. Codelco's second largest copper operation by size is expected to transition to underground block cave mining by mid-2019. 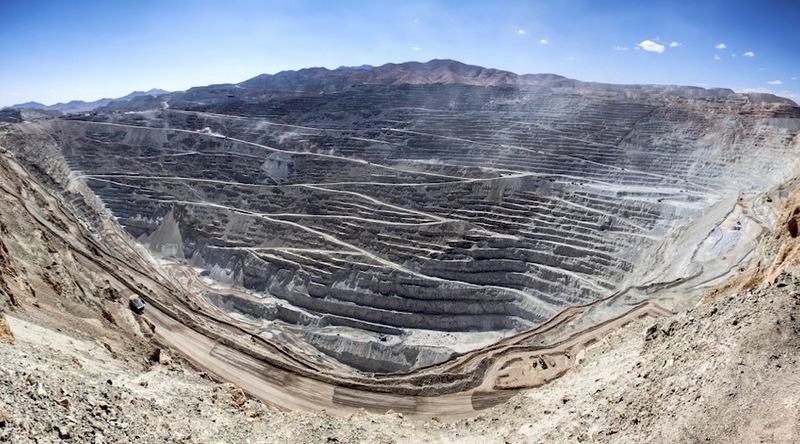 The $4.9 billion-switch, part of Codelco’s 10-year, $39 billion overhaul of its core mines, is expected to extend Chuquicamata’s life by another 50 years. This will allow the world’s No.1 copper producer to keep production rates, despite falling ore grades and increasing costs at its assets. Codelco, which hands over all of its profits to the state, holds vast copper deposits, accounting for 10% of the world's known proven and probable reserves and about 11% of the global annual copper output with 1.8 million metric tonnes of production. Last year, “Chuqui” — as locals call it — produced 330,900 tonnes of copper, out of the company’s total of 1.734 million tonnes. Annual production from the century-old mine after the transition from surface to underground extraction is projected to be 320,000 tonnes of fine copper and 15,000 tonnes of molybdenum. Mining at the more than 1,100 metres-pit will continue, but only around phase 49, Codelco has said. Blasting will gradually decrease until mid-2020, when the very last explosion is projected to happen.